In the UFC 236 main event, Max Holloway will battle Dustin Poirier for the interim UFC Lightweight title. This is a high-stakes match, with the winner likely to fight the real lightweight champ Khabib Nurmagomedov in a huge main event down the line. Holloway, the UFC Featherweight Champion, looks for a second title, but must first reverse a previous loss to a very well-credentialed contender in Poirier. That was over 7 years ago, however, when Holloway was just a baby. How will this go down this time around, as both fighters are better and the stakes a lot higher? Again, it's iffy how much their fight in 2012 even matters now. While it might provide some comfort to potential Poirier backers, the fact is that it was a different time in both fighters' careers. Holloway was a 4-fight neophyte just having come over to the UFC after fighting on local shows in Hawaii. It was his first big fight and he was barely 20 years old and Poirier was able to sink in a mounted triangle armbar in the first round and win. A ton has happened since then. Holloway would go 3-2 in his next 5 fights, before peeling off a remarkable 13 fight winning streak that now has him atop of the sport. Along the way, he has beaten top opposition like Anthony Pettis, Jose Aldo (twice), and unbeaten Brian Ortega. The Ortega win was in December and Holloway's last fight—a remarkable and dominant performance against a challenger many fancied to beat him. Despite some issues last year, he has managed to keep looking better and better each time he steps into the octagon—an exponentially improved fighter over the one Poirier saw years ago. Poirier, meanwhile, has seen some twists and turns in his career culminate in a nice run. Since losing to Conor McGregor in 2014, he has lost just once in ten fights, scoring some big wins along the way. And he is the more-cemented force at 155 pounds, having fought at lightweight now for several years. Along the way, he has beaten Pettis, Justin Gaethje, and former champion Eddie Alvarez. The Alvarez win in July was a brutal exhibition and confirmed for those who were still dubious that Poirier is indeed a handful. He has been in the UFC since 2011 and after almost a decade in the organization, is on the precipice of some big things. You have to really acknowledge his perseverance and ability to keep redefining and improving himself. This version of Poirier is the best one yet. A lot of people thought Ortega could beat Poirier, but he came up way short. The rationale was understandable, with Ortega on the rise and Holloway coming off some injuries, a bad weight-cut, and a bad concussion the previous year. But when it comes to what counts—in-octagon performances, Holloway seldom disappoints and hasn't come up short since he was a young buck of 21 taking on Conor McGregor. Since then, he has arguably distinguished himself as the best 145-pounder in history, with two wins over the man with the next-best claim in Jose Aldo. Just as what occurred with Ortega, there will be spots where it makes sense to pick against Holloway, but he always delivers. Part of the reason is that Holloway doesn't always leap off the screen with his MMA prowess. There's nothing he does incredibly well when you break down the typical facets of MMA. But he does everything well enough, galvanized by a simple yet overlooked ability—knowing how to fight. In other words, you can have a fighter who does this well or does that well, but they never quite get over the hump because they don't know how to fight as well as the top guys. Holloway has that in spades. The kid can just fight—flat out. He wields an insane amount of willpower on his opponents and when it comes to the gas tank, not many fighters can go all-out for 25 minutes like Holloway. We might see fighters we suspect to be better in certain areas than Holloway, but when it comes down to it, they end up drowning in a pool of Holloway's attributes. Even if Holloway isn't the same guy that Poirier faced the first time around, I think it helps Poirier to know he can beat this man. For a guy who has been through what Poirier has, he's one win over a guy he already beat from earning some hardware, even if it's not the real title. In addition to the previous win, he also has improved, finding another gear since coming up to 155 pounds. The guys he has beaten were really good and Poirier has been finishing opponents with aplomb. He moves very crisply nowadays and is a master of angles and position. He uses leg-kicks to weaken opponents and is just a very efficient and dangerous veteran fighter. There isn't much he hasn't encountered in MMA. He is fighting a man he already beat in a division in which he has more success and experience. That's a lot of good things for an underdog fighter. This is a fight with any number of hard-to-identify variables that could surface. In cases like that, dependability goes a long way. And over a five-round distance, the nod in that category goes to Holloway. He has been a more-dependable force in the octagon, has fought a greater level of opposition, and is a proven winner in this context. This is a difficult spot, as both fighters have improved since they first tangled back in 2012. My guess is that it is Holloway who has covered more ground since that fight. I'm taking Holloway in this one. 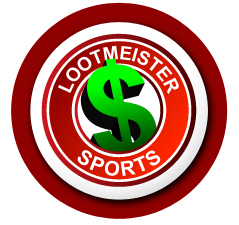 Loot's Pick to Win the Match: I'm betting on Max Holloway at -255 betting odds. Did you know... that you could be wagering on UFC fights at discounted odds? There's a better than good chance that you're laying inflated odds with your book. Stop overpaying TODAY by making the switch to 5Dimes Sportsbook! You will be so glad that you did!